Twenty-four California port truck drivers employed by NFI Industries/California Cartage, the largest goods movement operator at the twin ports of Los Angeles and Long Beach, have been awarded nearly $6 million by the California Labor Commissioner for wage theft due to misclassification as independent contractors. In an unprecedented decision, the Labor Commissioner issued individual joint liability against the general manager at NFI’s California Cartage Express who oversaw and directed the day-to-day work, and misclassification of, the drivers at that company. Fact sheet on NFI/California Cartage history of lawlessness at the Ports of LA/Long Beach. SB 588, among other things, "reduces the abuse of our corporate laws. Businesses can no longer use layers of subcontracts and unclear reporting relationships to deliberately make enforcing labor laws difficult. Additionally, individuals involved in wage theft will now be held accountable." Source: UCLA Labor Center, Oct. 13, 2015. NFI/California Cartage, based in Wilmington, Calif., is one of the largest goods movement companies in America, with warehouses and port trucking operations across the U.S. In 2018, the California Cartage family of companies was acquired by the New Jersey-based National Freight Industries (NFI). Previous to this acquisition, Cal Cartage was owned and managed by Robert Curry, Sr., and his family. NFI/Cal Cartage represents the largest trucking operation at the Ports of Los Angeles and Long Beach by a wide margin. The checks were delivered to the seven Chico State University employees by Local 2010 Secretary-Treasurer Jason Rabinowitz. In a matter of weeks, over $300,000 was donated by local Teamster unions across the nation, including $150,000 by the International Brotherhood of Teamsters in Washington D.C. The Teamsters Joint Council 7 Disaster Relief fund has so far delivered over 176 checks to victims of the Camp Fire that devastated Northern California earlier this year. According to Cal Fire, California’s forestry and fire protection agency, the Camp Fire burned over 150,000 acres, destroying over 14,0000 buildings and killing at least 86 people, making it one of the worst fires in California history. The Teamsters Disaster Relief Fund is a charitable 501(c) 3 developed in 1991 to assist Teamster members who have suffered a loss from a disaster. The fund receives donations from local unions and their members and is currently developing a fundraising plan to support Teamsters Local 2010’s efforts in providing relief when disaster strikes. Teamsters Joint Council 7 represents more than 100,000 members in 23 Local Unions spread across 48 counties of Northern California and the Central Valley and 14 Northern Nevada counties. Teamsters Local 2010 represents over 14,000 workers who keep the University of California and California State University systems running every day. This includes approximately 1,100 skilled trades workers at Cal State and 1,300 at the University of California, as well as approximately 12,000 clerical and administrative support workers at the University of California. Workers at Air Express International (AEI), an international air freight business, have voted overwhelmingly to approve a new national contract covering about 800 workers across the United States. AEI is part of the DHL Global Forwarding network, a subsidiary of DP-DHL based out of Bonn, Germany. “Despite AEI posting losses in the United States over the past three years stemming from the failed implementation of a 2016 new freight processing system, we were able to negotiate wage increases in each year of the new three-year contract, along with hourly contribution increases to maintain full health and welfare benefits over the next three years,” said Bill Hamilton, Director of the Teamsters Express Division. AEI Teamsters from nine local unions also ratified nine regional or supplemental contracts. AEI was formerly known as Danzas-AEI, an air and ocean transportation company which DP-DHL purchased almost two decades ago. The new contract is retroactive for all economic improvements to Jan. 1, 2018 and runs through Dec. 31, 2020. Teamsters Local 502/Commonwealth Association of School Administrators (CASA) is opposed to the arming of teachers to combat possible school shootings. School administrators advocate for peaceful resolutions to the mass school shootings that have taken place across the country. 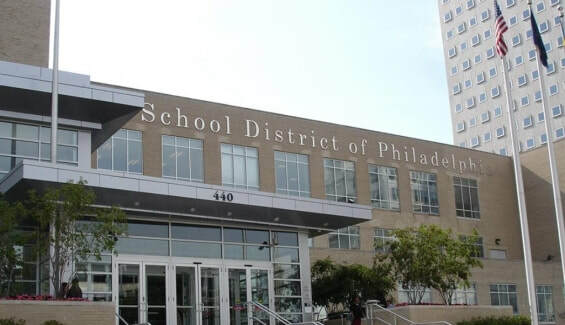 Local 502 represents more than 550 school administrators who work in the School District of Philadelphia. The union is speaking out about conceal and carry in schools because it would have a dangerous impact on students, teachers, administrators, staff and families. School administrators and teachers pursue their careers to teach and make a difference in students’ lives. Core values in schools and classrooms include nonviolence, civil discourse and peaceful resolutions to conflict. Arming school personnel with guns would be hypocrisy. Administrators and teachers have many responsibilities to oversee schools, ensure purposeful lessons and maintain a welcoming environment. Weapons training would be an additional responsibility added to a long list of duties, when more time should be spent on classroom instruction. Arming non-police personnel increases the possibility of further gun violence which could produce more student and staff deaths.